Maryland’s Eastern Shore is part of the Maryland, Delaware, and Virginia peninsula simply known locally as DELMARVA. 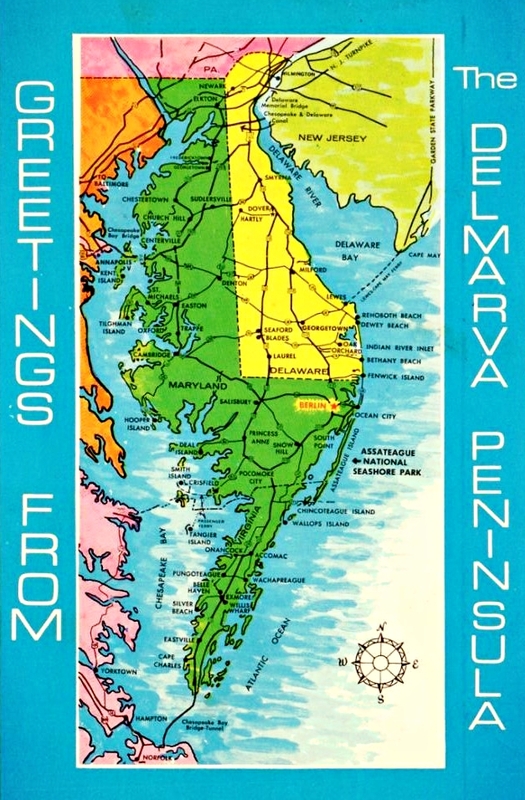 While called a peninsula, DELMARVA is technically an island sliced from the mid-Atlantic mainland to the north by the Chesapeake and Delaware Canal that allows water passage between the Chesapeake and Delaware Bays. DELMARVA is surrounded by the Atlantic Ocean to the east with the Chesapeake Bay to the south and west. The winter flying field at Higgs Farm is located in the small town of Price, Maryland where one feels they might have entered and exited the town at the same time. The flying field was part of the original Higgs Dairy Farm but is now dedicated to crops. Cows and various other livestock still reside around the field and can sometimes be heard vocalizing their approval for only the very best of rocket flights. The summer flying field is located about 30 minutes south of Higgs Farm at the Centreville Sod Farm located in Centreville, Maryland. The crop is grass and shade in the hot and humid Maryland Eastern Shore summers is scares. Awnings, sun screen, and plenty of drinks are the norm at this field. Easton, Maryland is the site of the MDRA club hotels. Easton was first settled in the 1630s and eventually derived its name from simply being east of the shipbuilding’s town of St. Michaels, where the Baltimore Clipper style schooner originated. To enjoy Easton, Md., one must only take a short journey and travel west of the hustling and bustling Coastal Highway (Route 50) and into the historic district evident by the old colonial brick homes, taverns, and quaint shops. Find a parking spot and travel on foot or bike along the many historic sidewalks and trails. They are many shops and studios scattered with some fine indoor/outdoor dining options. Saint Michaels, MD, is only a 15 mile drive west of Easton. Saint Michaels is representative of many small towns that sprung up along the Chesapeake Bay during colonial times. Saint Michaels originated as a shipbuilding town before evolving into a seafood producer after the war of 1812. 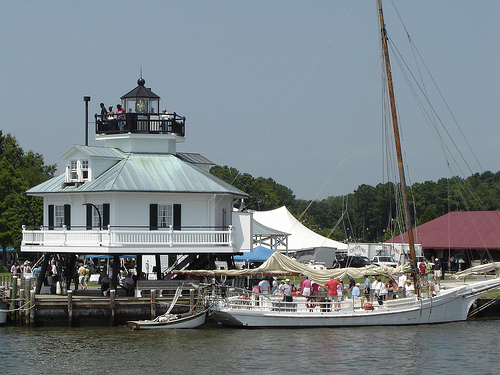 Saint Michaels is dotted with shops and galleries but the main attraction is the Chesapeake Bay Maritime Museum featuring vintage bay watercraft and workboats, marine life, and the relocated Hooper Island screw-pile lighthouse. Have a casual lunch at the Crab Claw Restaurant which has been serving customers since 1965. For a complete list of activities at Saint Michaels, please click here. There are many other options surrounding Easton, Maryland for those arriving to a MDRA launch early or wanting to stick around a little longer. Members are encouraged to explore.